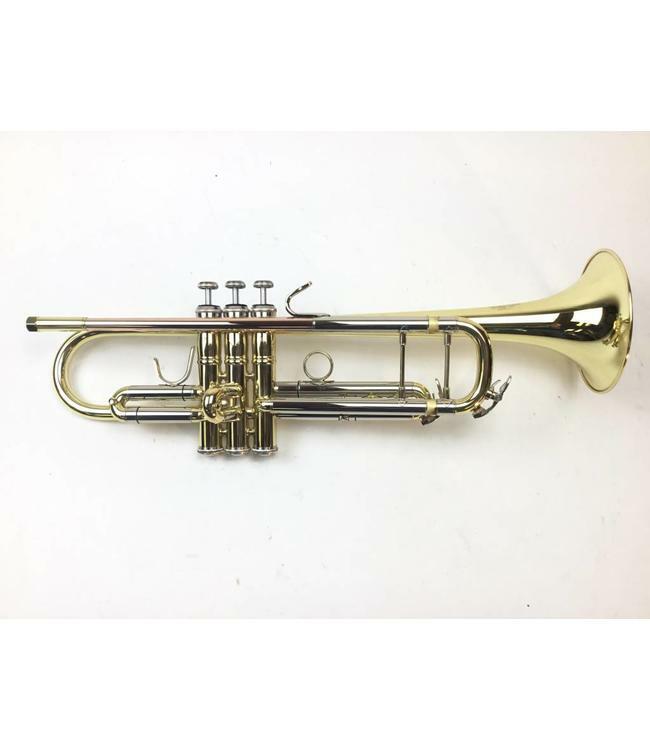 Used/Demo Dillon student Bb trumpet in lacquer. Instrument is in new/demo condition with acid bleed on the 2nd valve to bell brace. Includes original case.